There isn’t much around Cape Range National Park. It is the perfect location to enjoy walks, nature, sun and the lack of technology. Winter hitting Australia means shorter days and slightly cooler mornings on the West coast; and with the wind blowing, there is always hesitation about snorkelling. 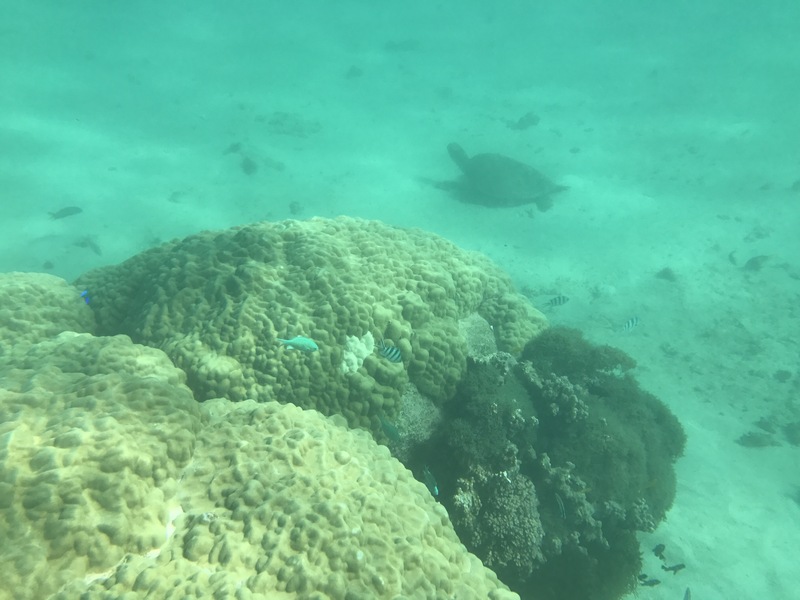 The love for spotting fish and marine life wins (almost) everytime in this corner of the world and the cold water is well rewarded with masses of coral, big bull rays, lots of schools of fish and turtles just 20mts off the beach. Worth the cold every dip in this part of the ocean. No está muy fría el agua en esta época del año?